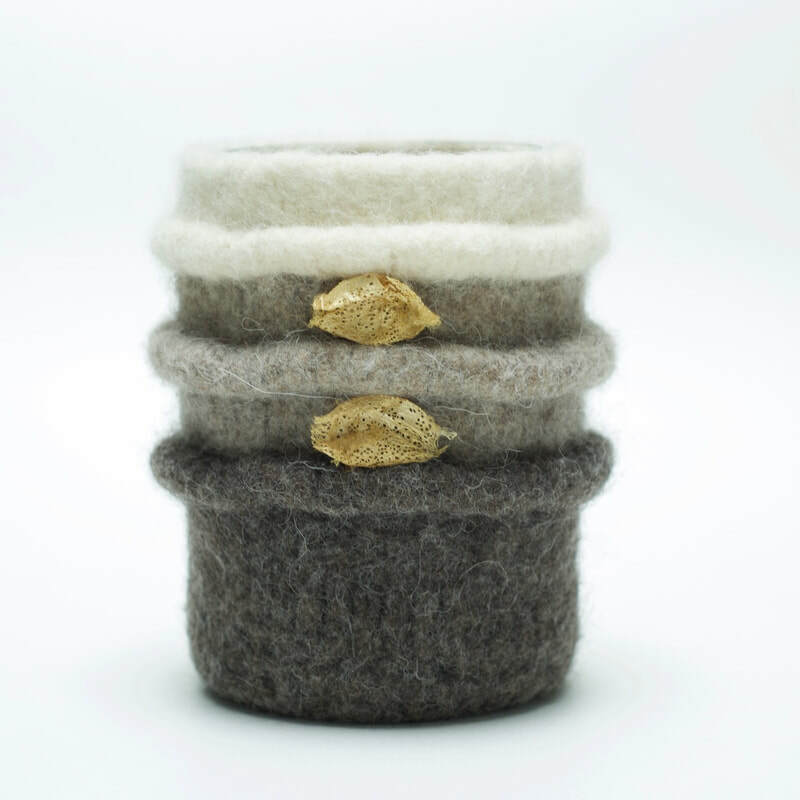 BOL Vase is a straight-sided firmly felted vessel with a glass liner, allowing it to be used for fresh flowers. 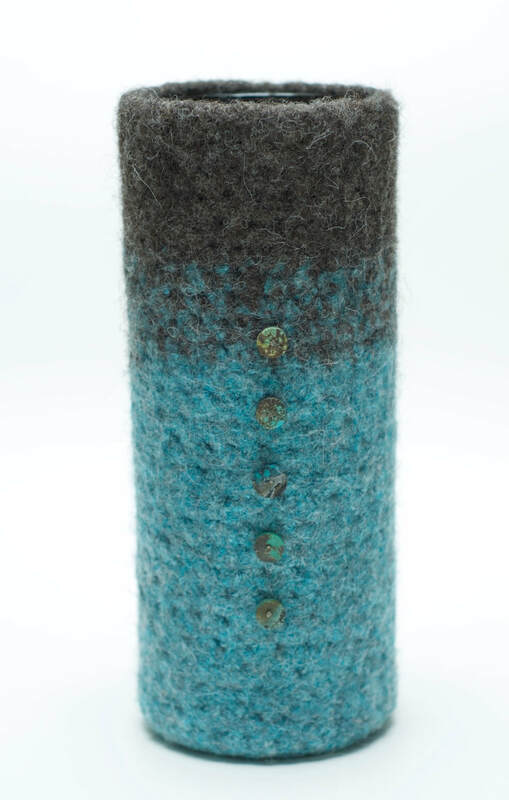 The glass pulls out of the felt vessel for washing and draining water. There are two sizes of BOL Vase. Various attachments include dried Cricula and larger Ceranchia silk worm cocoons. The Cricula cocoons look like falling golden leaves, and the Ceranchia cocoons are lacy and textural. The natural colour of both are an amazing gold. ​BOL vase can be made in custom colors to suit your home. For more info contact me here.